As spring is in full swing and summer looms, we've got frozen yogurt on our minds! Yogurtland is a great destination for celebrating milestones like report card pick up day, graduations, spring birthdays, or anytime family fun. ENTER HERE For Your Chance To Win A $10 Yogurtland Gift Card (2 available) through midnight 5/6. Yogurtland has long been a favorite of ours for fun film themed tie ins, and creative campaigns. 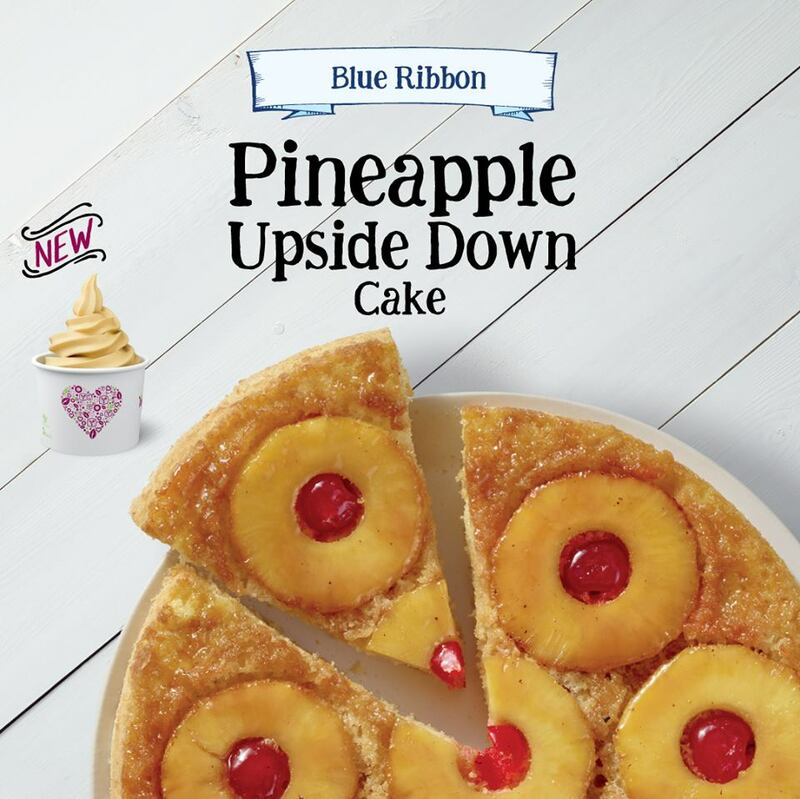 Now they're back with new flavors inspired by the family recipes everyone knows and loves! I can't wait to try them all with my teens. This sounds like a stellar excuse to drop in at Yogurtland. Yogurtland is introducing five new scratch-made flavors that will have fans loving each spoonful more than the last. Yogurtland’s hand crafted yogurt flavors are made at its very own dairy, filling each step of the tasty frozen yogurt creation process with love and quality. These new promotional flavors, available from April 3 to June 4, explore the tastes of delicious home-made favorites. These new flavors join more than 200 other handcrafted, gourmet flavors that are created with mastery and care, and with one thing in mind - delighting guests. As a tribute to all the things our guests love, Yogurtland begins the yogurt journey with their new love-inspired cup. Adorned with a heart filled with all things symbolizing Yogurtland, the new cups reflect Yogurtland’s dedication and love for scratch-made yogurt and delicious flavor while customers experience love from the beginning of their visit through their very last bite. With these family recipe inspired flavors, fans can connect with yogurt flavors beyond taste, it will be reminiscent of past memories and cherished experiences with friends and family. 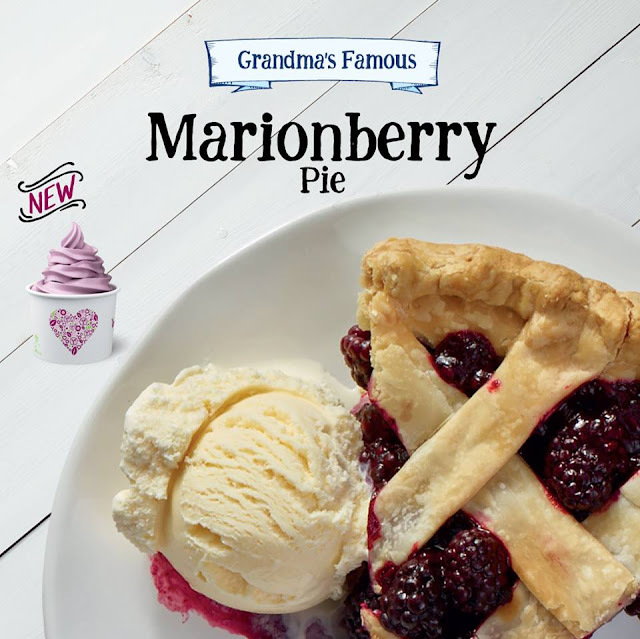 - Grandma’s Famous Marionberry Pie- This scrumptious dessert will win the hearts of Yogurtland lovers by combining real Marion blackberry with sweet shortbread cookie. Notes of buttery, golden piecrust for a complete dessert sensation follow the delicious fruity taste of marionberry. - Momma’s Secret Recipe Almond Fudge Gelato- Go nutty for this perfect combination of chocolate and almond. 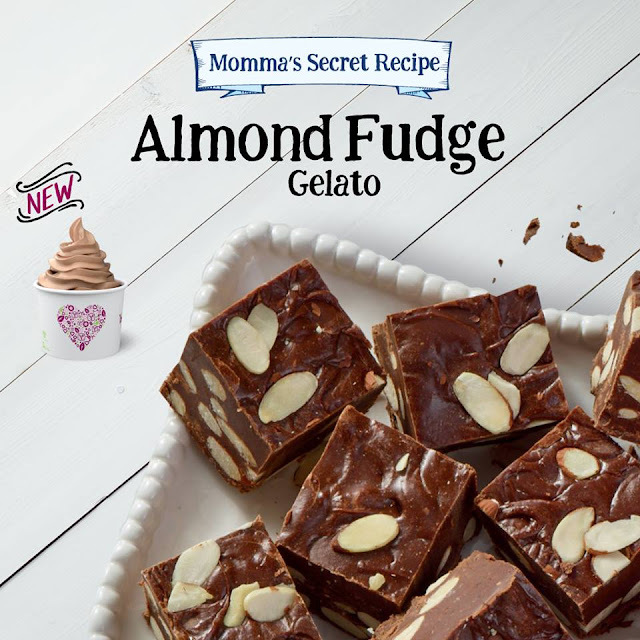 This flavor pairs rich fudge notes and almond tastes to create a creamy and sophisticated gelato. - Blue Ribbon Pineapple Upside Down Cake- Flavor-packed with delectable caramelized pineapple flavors followed by buttery, dense cake notes combines to adapt the many layers of the traditional pineapple upside down cake into yogurt form. - Spring’s Simply Sweet Peanut Butter Marshmallow Squares- Enjoy a taste of grandma’s kitchen without the guilt. This no sugar added flavor combines real peanut butter with yummy marshmallow flavor to create the true marshmallow square taste. - Pairings and Sharings Strawberry Basil Lemonade Sorbet- This drink-inspired sorbet will be the perfect thirst quencher on a hot day. The subtle balance between sweet and tart, this flavor combines two varieties of sweet strawberries and tangy lemon. Real basil and hints of mint add a cooling freshness to finish this flavor taste. 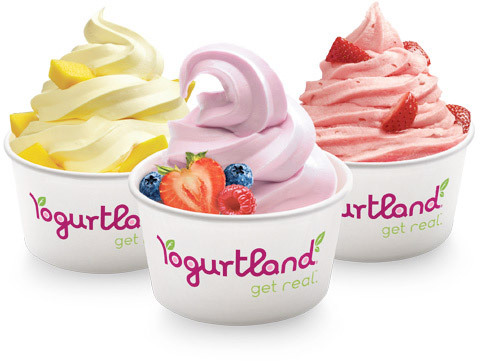 Presently Yogurtland has more than 330 locations across the U.S., Australia, Guam, Singapore, Thailand, Venezuela and Dubai. Flavors are always subject to creative change and popular demand.